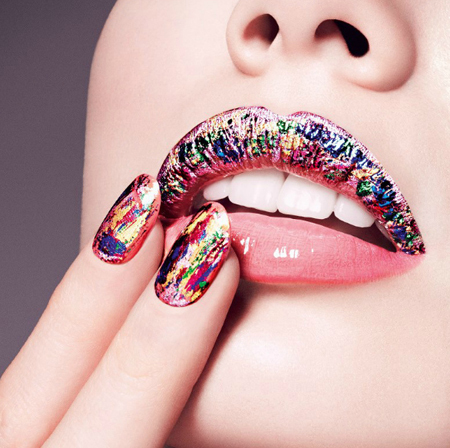 Ciaté Very Colourfoil Manicure 2013 Collection - Be Glossy In and Out! 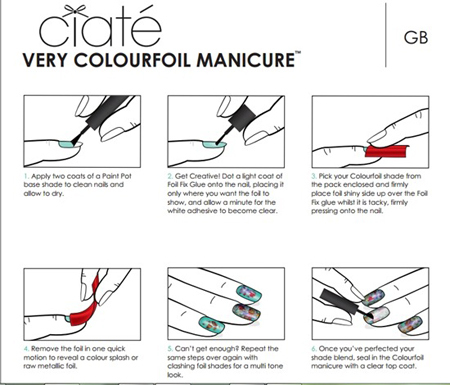 Ciate extablishes again the new nail trend of 2013 with Very Colorfoil Manicure sets. 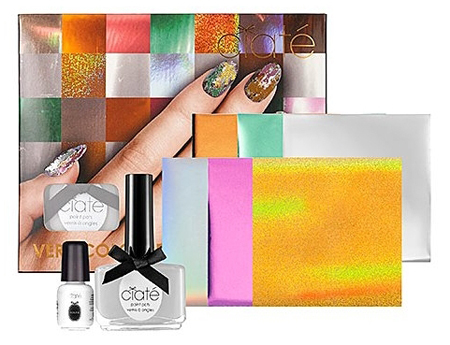 Each kit contains three paint pots, a foil fix glue, nail wheel, and colourfoil sheets that allow to create amazing colorful metallic manicure. The paint pots come in candy pink Carnival Couture, peppermint Kaleidoscope Klash, and gray Wonderland. 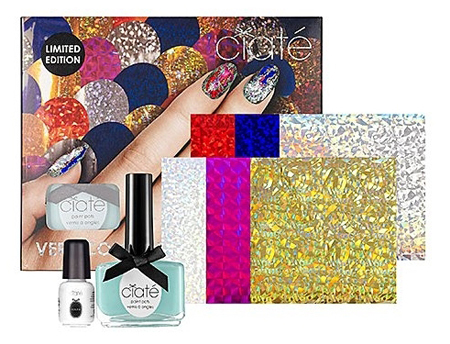 Each kit offers different foils for a very varied color combos. The Carnival Couture comes along with fuchsia, dark blue, bright green, silver, lavender, and gold foils. The Kaleidoscope Klash comes with glittery red, blue, hollogram, silver, fuchsia and gold. And Wonderland comes with orange, mint, silver, light blue, pink and yellow. To create your own pattern with this kit apply nail polish and let it dry. Then using foil fix glue start creating a pattern with different foils in the kit. Add a drop of glue where you want a certain foil to be and place the foil shiny side up and press to make sure it sticks. Then remove the foil quickly and repeat till you get the pattern or color combination you wanted. After that’s done apply a clear top coat to the nails. The kits are already available at Sephora at $19.00. 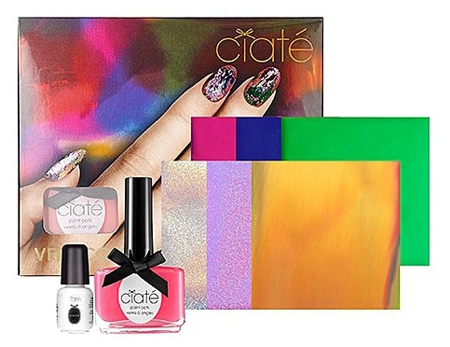 What do you think about the latest Ciaté collection? This is so cool! I love the pattern and the fun colours. I love ciatè nailpolishes,they last soooooooo long!!! It looks beautiful,def going to try it!